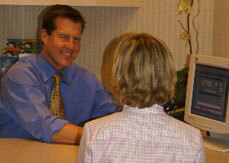 Dr Dale Trudeau has been providing superior dental care in Del Mar since 1984. He is a graduate and former instructor at USC School of Dentistry where he was also senior class president. Dr Trudeau has completed many hundreds of hours of advanced training in all areas of restorative, cosmetic, and implant dentistry. He is an active member in the American Dental Association, California Dental Association, San Diego County Dental Society and American Academy of Cosmetic Dentistry. Dr Trudeau is active in the community and supports many local charities and youth organizations. 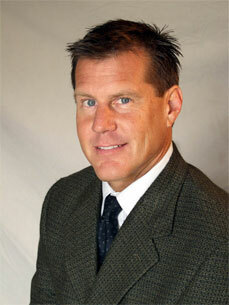 He is a past president of Del Mar Kiwanis is active in the Del Mar and Solana Beach Chambers of Commerce. Dr Trudeau has done volunteer work with St Leos Dental Clinic in Solana Beach, North County Health Services and GiveBackaSmile.org. Which restores the smiles of abused women. He has been selected as one of San Diego�s top dentists as featured in San Diego Magazine and was recently awarded the cover story in Catalyst Magazine, a dental industry periodical. Over the past two decades, Dr. Trudeau has assembled an outstanding team of professionals dedicated to painless dentistry and technical excellence. "My promise to you is that our office will provide you with some of the most superior and gentlest care available in Southern California. We offer this by utilizing the highest state-of-the-art diagnostic skills, treatment planning, and treatment procedures, all integrated by a highly trained staff." "I also promise that I will listen to your concerns. 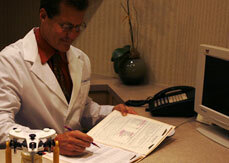 Your desires and concerns will come first in any treatment plan we develop." "My team and I are constantly updating our technical skills and striving for perfection. Each day we ask ourselves how we can better serve our clients."